How to run effective performance appraisals. Performance reviews have been around for over a century. 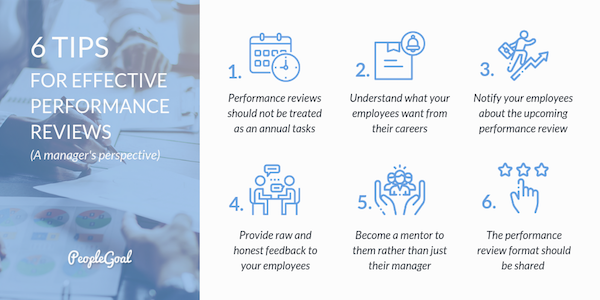 Yet for many employees, performance reviews are one of the most stressful things at work (and sometimes for managers too!). With this being said, performance review meetings remain the most important form of feedback with one primary objective; to improve the performance of an employee, as suggested by Andrew S. Grove in his book High Output Management. On the contrary, poorly run annual reviews have been considered expensive, ineffective and not resulting in productive conversations. As Olivia Chang stated; performance reviews can become a tick-box exercise rather than a critical assessment. 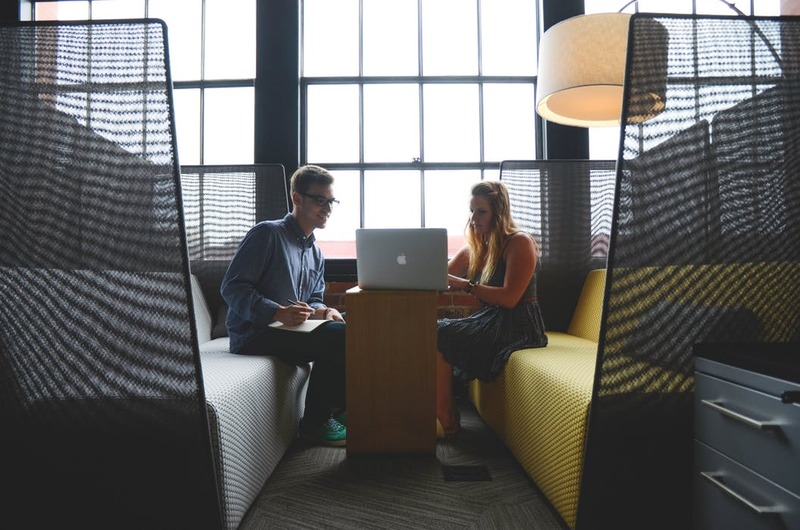 A manager and employee should have discussions on a regular basis, ideally once a month. That way the manager will be able to set employee and team expectations early and not at the end of the performance cycle when it's too late. When your employees know what you expect from them, they know what to focus on, hence their performance will be better on the task you expect them to complete. Key to this strategy is a set schedule for one-to-one meetings between the employees and managers. The regularity of the meetings can break the stigma of the performance review being stressful and useless, and make them a space to discuss work, accomplishments as well as possible challenges. This is a key that will unlock many performance barriers. When you know what employees want from their careers you know how to motivate and engage them. It will also enable you to set clear objectives and SMART goals for your employees and to foster employee motivation as previous studies have shown. Understanding your employee's career expectations can also help employee retention and enable you to give them the right guidance and training to progress and reach their potential. It is important to give your employees time to prepare, gather feedback and finish any outstanding deliverables. Also, once you have written your performance evaluation share it with them prior to your meeting together with a written agenda of the meeting. The agenda should include a review of the annual goals, discussion of the expectations outlined as well as time dedicated for any questions and additional assignments. That way they will have time to think about and share their thoughts with you. If you write your evaluation without the employee seeing it or having a say most likely it will become a task that takes place annually and no one will see the benefits of an effective performance review. Therefore, you also want to commit time to informal feedback and address any potential issues or additional achievements. Tell your employees what they did well, where they could have performed better and how to improve in the next performance cycle. Being honest is always helpful and will allow you to build a better relationship. Furthermore, it has proven to be helpful to frame comments based on behaviors one should stop, start or continue doing. The discussion should function both ways; your direct reports should feel comfortable to discuss their ideas and concerns with you. A sense of open culture and feeling that their opinion is valued will improve their engagement and positively affect their performance. As Steve Jobs once said; “It doesn’t make sense to hire smart people and tell them what to do; we hire smart people so they can tell us what to do.” The expertise of your direct reports can bring new perspectives and result in valuable ideas for your business. Try to coach them throughout the performance cycle and help them build and enhance skills. If you have done this from the beginning of the performance cycle, especially helping them to set up their goals, then you are going to have very effective performance reviews at the end of the period. Furthermore, it will help to enhance your employee engagement and productivity ensuring they know what your expectations from them are and what they should focus on. With shorter job cycles, mentorship becomes essential for employee retention and career development. Furthermore, previous research has shown that millennials, who are becoming the largest portion of workforce, need mentors not leaders. Today’s managers need to become coaches that inspire their reports, give them a sense of purpose and confidence when work gets challenging. Therefore, you should harness the power of mentorship. The final and very important tip: The performance review format should be shared with the employees beforehand. Most importantly, be clear to them at the beginning of the performance cycle as to how employees are being rated - e.g. 1-10 or 1-5 scale with HR calibration. That way you manage expectations and it is easier to justify your performance evaluation. All the above will help you achieve effective performance reviews. Every successful leader knows that human capital is the most important asset of a company. Utilizing it correctly can be the difference between success and failure.